Mini First Aid can bring our multi award winning first aid training to employers in a fun, award-winning 2-hour session for their employees. This could be a lunchtime perk with your employer gifting the fee and the time! 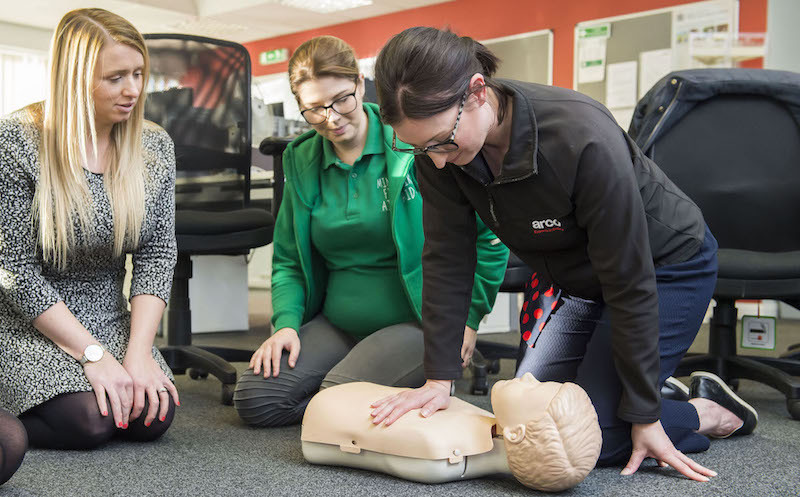 Our classes are delivered in a relaxed and comfortable style and give the confidence to working mums, dads and carers to know what action to take if faced with a medical emergency. “I felt at ease… and there was plenty of opportunity to practice on the child/baby dolls, with encouragement from my fellow colleagues as well as Jodie herself. I felt the content explored in the time allotted was very good and there was a generous amount of time dedicated to each topic". WHY NOT SPEAK TO YOUR HR MANAGER ABOUT RUNNING CLASSES WHERE YOU WORK? Your company could offer a great, low-cost initiative and receive fantastic staff engagement and feedback, whilst promoting loyalty and staff retention!